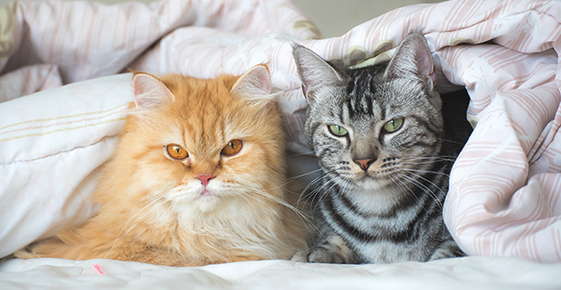 Each cat breed has certain characteristics. Although every cat is unique, certain breeds tend to be more inquisitive, lively, placid, vocal, or gentle than others. Veterinarians, cat-fancy clubs, pet stores, and cat shows are good sources of information about the personalities of various breeds. When selecting a kitten, use similar criteria as selecting a dog. The kitten should be neither too shy nor too aggressive. A healthy kitten actively seeks affection from people. Cats are easily housebroken and fastidious, and they don't have to be walked. For these reasons, many apartment owners and condominium associations allow their residents to keep cats.